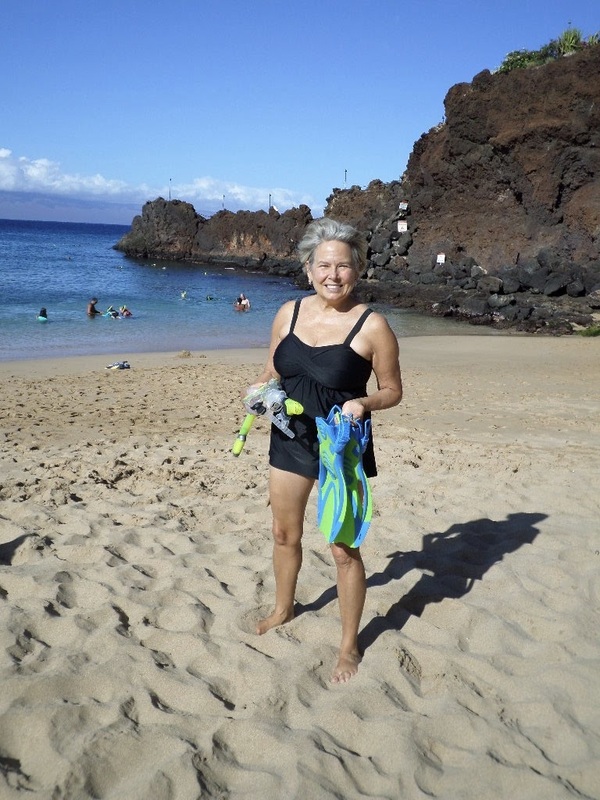 Maui Hawaii vacations offer the best of all worlds for outdoor fun - from hanging out an the beach to snorkeling with sea turtles to hiking along beautiful vistas. Our visits in October, November, and March have brought us almost perfect weather. Often if it's rainy one part of the island you can hop in your car and find a place that's sunny. 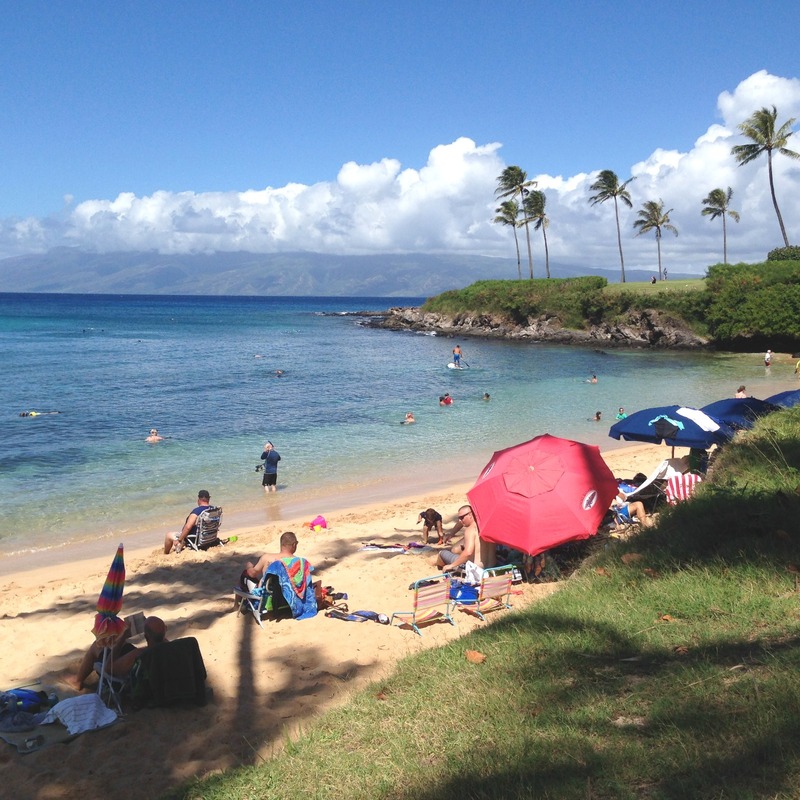 Our favorite part of the island is Kaanapali. 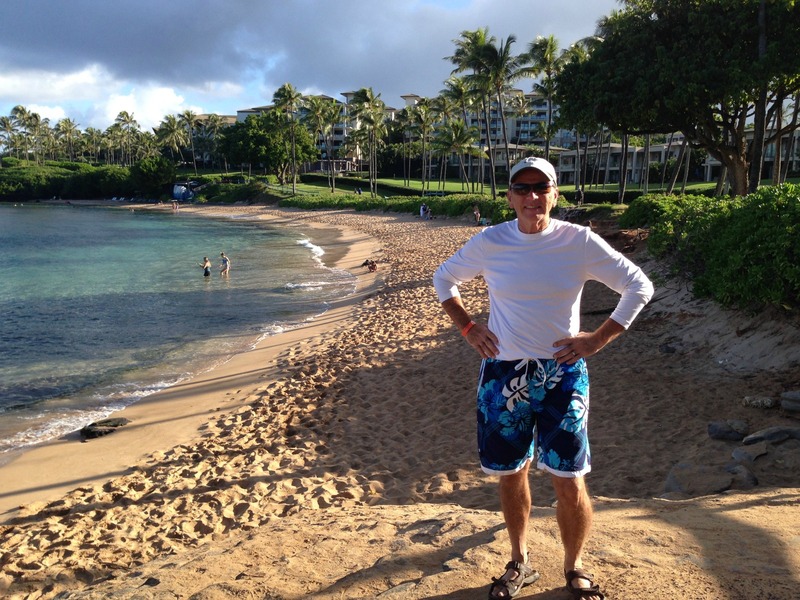 We have had a time share there for almost 20 years and it's walking distance to some of the top voted beaches in the world - like Ka'anapali Beach and Kapalua Bay. Sandy beaches for relaxing, palm trees for shade, and coral for snorkeling will find you in and out of the water. 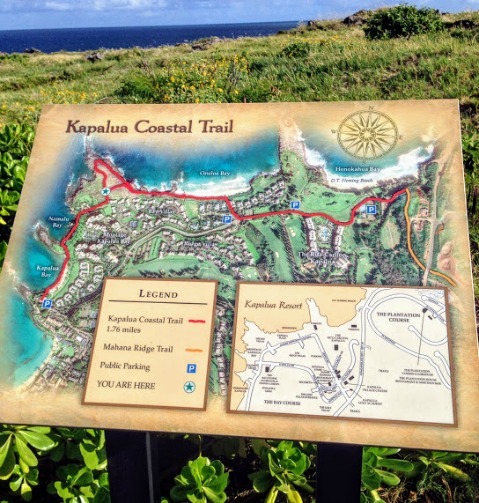 The Kapalua Coastal trail begins at the beach and is an easy walk that provides spectacular views of the northwest coast of Maui. 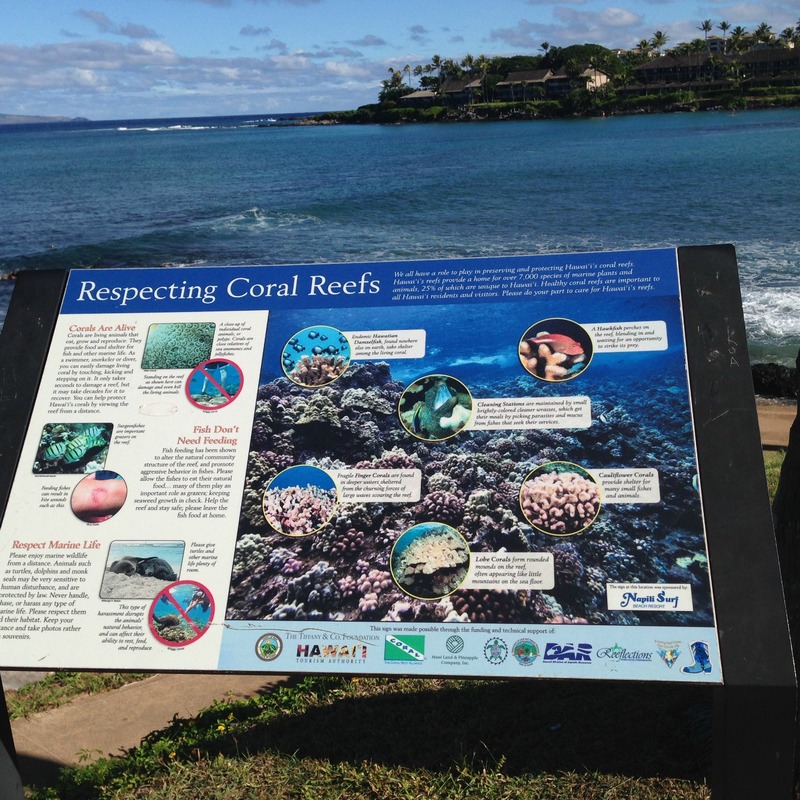 The trail takes you past beautiful beach vacation homes, splashing sea turtles and vistas of the ocean and neighboring islands. 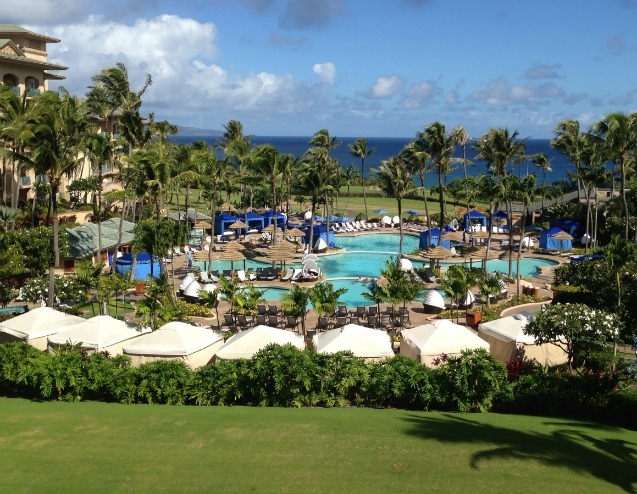 Maui Hawaii resorts can only be described by one word "AMAZING." From the beautiful vistas, first class service, sandy beaches, colorful landscaping, beach front walkways, snorkeling with sea turtles and lagoon style swimming pools. There is only one word that describes the Ritz Carlton of Kapalua - it's luxury. 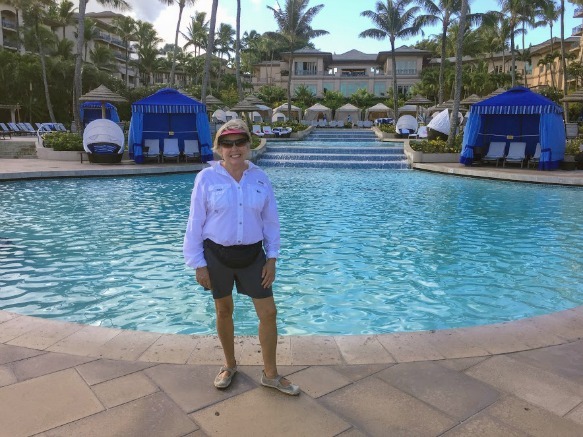 This Maui Hawaii resort offers spectacular views, first class service, tropical gardens along with multiple cascading swimming pools. 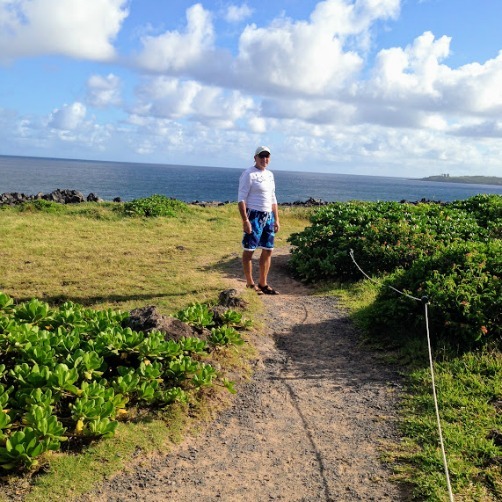 A daily walk along the Kapalua trail from our timeshare to the Westin ended with a green juice for me and a coffee for my husband on the terrace overlooking the ocean. It's a great place for hump back whale watching when they are in season from November to May. There are several pools that cascade into the next lower one. 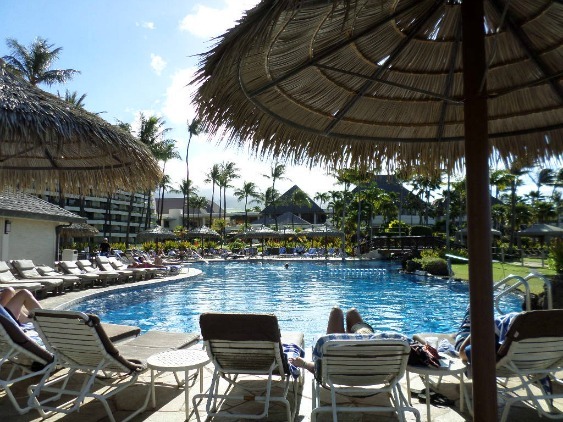 Tropical palm trees and lush vegetation provides a relaxing oasis. If you are up for some action, you can also enjoy tennis, basketball and golf. Plenty of cabanas for shade and lounge chairs for relaxing may mean you never want to leave the resort. Other amenities located right on the grounds are the Plantation Golf Course, spa services and and 6 restaurant options. 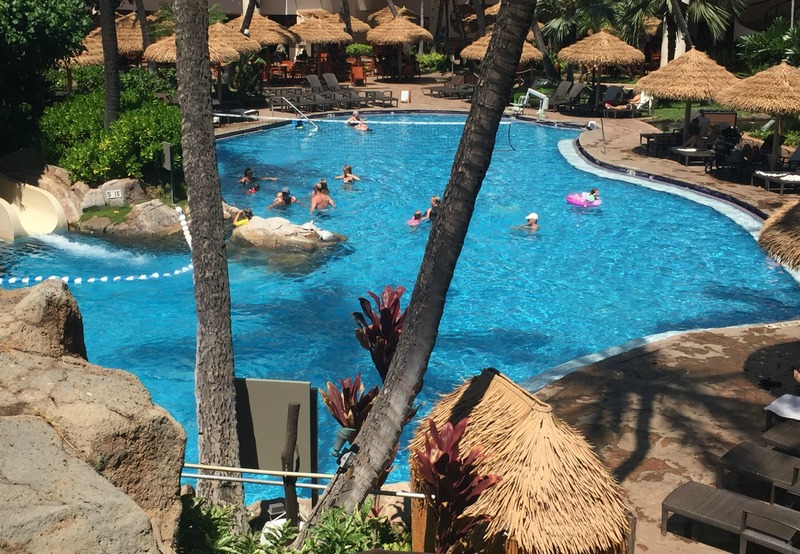 The Westin Maui Resort and Spa is located on Ka'anapali Beach that includes 5 swimming pools, water slides, and jacuzzis. There is even an adult only pool for those who want more quiet. 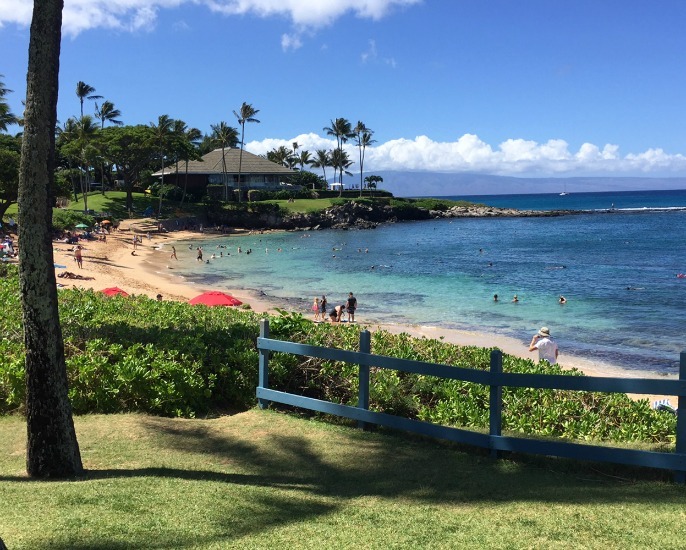 There is plenty of opportunity for walks or runs along the beach or boardwalks that take you past a variety of Maui resorts and outdoor restaurants. Every room at the Westin includes a private balcony and either a mountain or ocean view. The location is convenient to Lahaina which has lots of restaurants and hopes. Whaler's Village is nearby as well and is a pleasant walk from the hotel. There's pretty much no reason to leave this idyllic spot located on the north west side of the island. Th lagoon style swimming pool is the "landing place" after floating on bean bag styl floats through tropical gardens and waterfalls. The outdoor jacuzzi is situated or I might say "hidden" in a rocky lava formation surrounded by lush tropical plants. 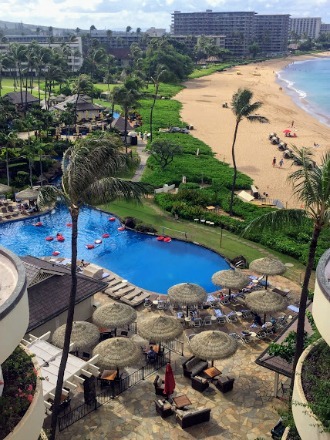 Here is a view from our hotel that captures the lush tropical paradise, miles of sandy beaches and the lagoon shaped pool that includes a fun "river" float through the grounds on the red bean bag shaped floats. Comfortable lounge chairs and shade surround the pool for relaxing. Black Rock Beach is located right outside the hotel which means you can experience great snorkeling without having to leave the hotel area. There's a little hut where you can rent snorkel gear or of course you can bring your own. 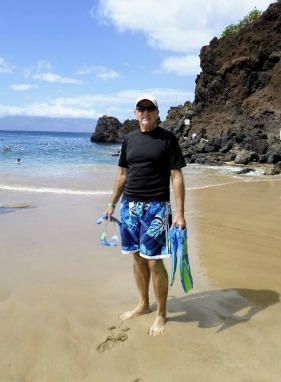 We have snorkeled in the Florida Keys, the Grand Caymans and Mexico, but nothing beats the snorkeling in Maui. Colorful fish, abundant coral and friendly sea turtles abound. Here we are snorkeling at Black Rock Beach by the Sheraton. If you aren't staying at the hotel, you can find parking at the Whaler's Village. 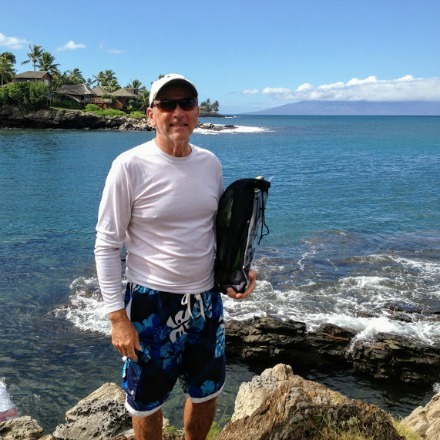 Another favorite snorkeling spot for us was a short walk from our time share at Gardens of West Maui called Napili. The cove provided calm and clear water for us during our stay. Our visit was mid October and there very few people snorkeling with us and sometime's we were the only ones enjoying the cove. 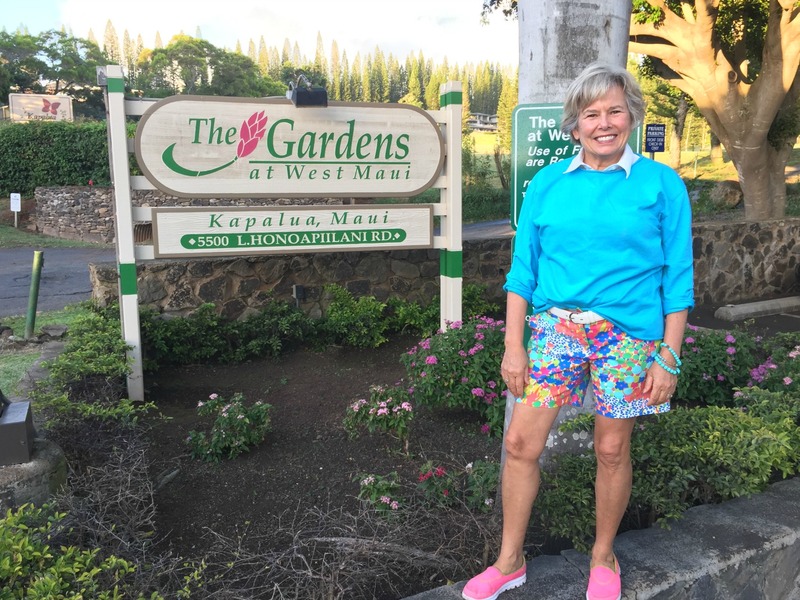 The Gardens at West Maui is a small, intimate setting with updated condos that include a studio or 1-2 bedroom options. It's a short walk to the beach,snorkeling, restaurants and to championship golf courses. 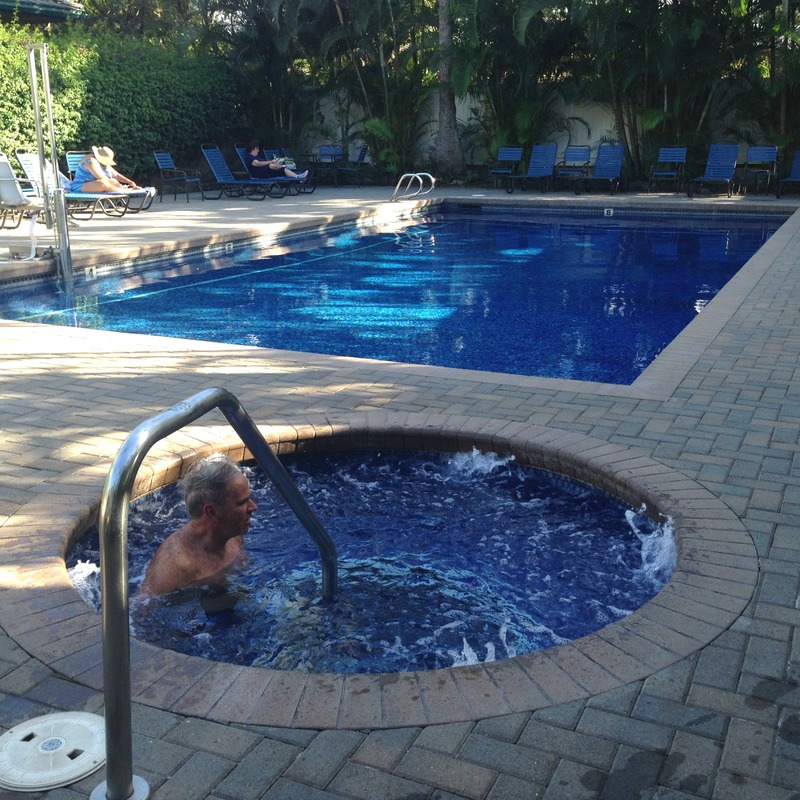 The outdoor swimming pool and hot tub is a great place to relax after exploring all day. BBQ grills are available for grilling your favorite local fish. Other amenities are a full kitchen, washer and dryer and air conditioning. 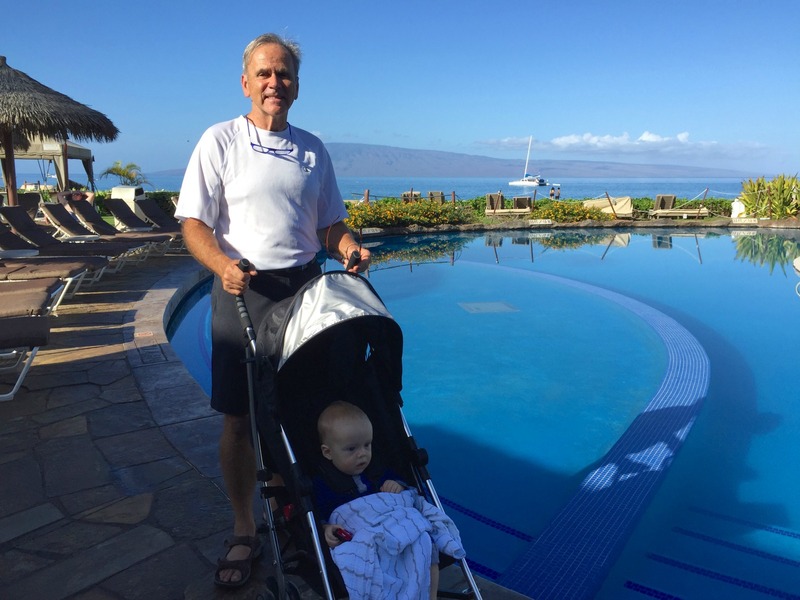 Our Maui Hawaii vacations have created some of our best memories as a family and as a couple with our first trip in 1997. 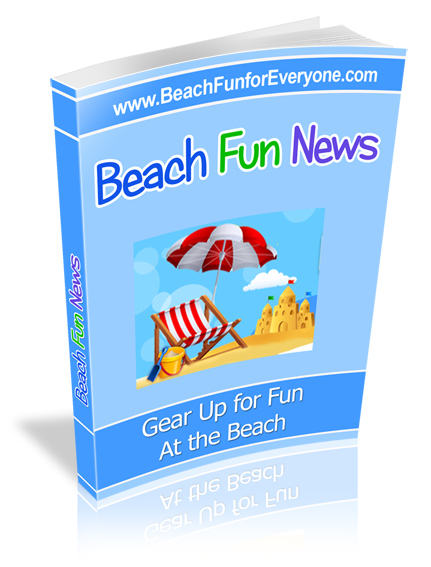 There are so many different activities that make it fun for everyone and for those of all ages.